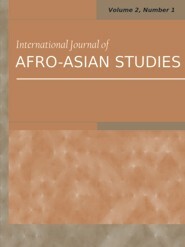 A peer-reviewed International Journal of Afro-Asian Studies (IJAAS) presents a scholarly account of studies of individuals and societies in Africa and Asia. Its scope is to publish original research by social scientists in the area of anthropology, sociology, economics, political science and related social sciences about African and Asian societies and cultures and their relationships. The journal focuses on problems and possibilities, past and future. Where possible, comparisons are made between countries and continents. The Journal follows the recent move in the scholarly . 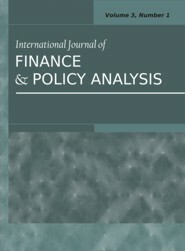 . .
International Journal of Finance and Policy Analysis (IJFPA) aims to publish high quality papers that are of interest to academicians and practitioners. IJFPA is peer-reviewed and publishes both applied and theoretical papers bi-annually. The journal only considers original manuscripts for publication. IJFPA welcomes contributions in the areas of corporate finance, investments, corporate governance, international finance, financial markets & institutions, credit analysis, financial planning, financial . 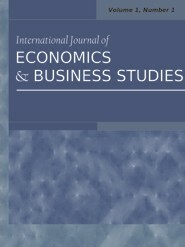 . .
International Journal of Economics and Business Studies (IJEBS) is a peer-reviewed journal, which is intended not only to promote the discussion on challenging economic and business issues at applied and policy levels but also to disseminate research information and knowledge in latest developments in business and economics. The main objective of IJEBS is to provide an intellectual platform for researchers, in which research in alternative paradigms for business and economic inquiry could be . . .
International Journal of Mainstream Social Science (IJMSS) is a multidisciplinary peer-reviewed biannual journal devoted to publishing research papers in all related fields of social sciences. The Journals invites the submission of manuscripts in anthropology, sociology, human geography, economics, history, environmental studies, business administration, home science, public health, political science, demography along with their edges. 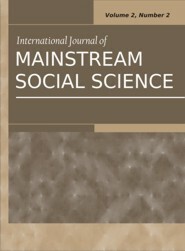 The applicability of quantitative methods in social science research has gained much more attention to many researchers and policy makers, and there is much enduring discussion and debate across the social science disciplines, which feeds into the development of new approaches to social science research. 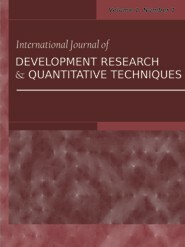 This peer-reviewed International Journal of Development Research and Quantitative Techniques . 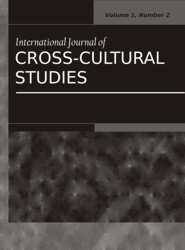 . .
A peer-reviewed biannual International Journal of Cross-Cultural Studies (IJCCS) is a specialization in anthropology, sociology, psychology, economics, political science which uses field data from many societies to examine the scope of human behaviour and test hypotheses about human behaviour and culture. Cross-Cultural research refers to empirical studies carried out among members of various cultural groups who have had different experiences that lead to predictable and significance difference in behaviour. Organization development activities intervene in the interactions of human resource systems such as formal and informal groups, work culture and climate, and organization design to increase their effectiveness using a variety of applied behavioral sciences. Organizational development is an ongoing, systematic process to implement effective change in an organization. 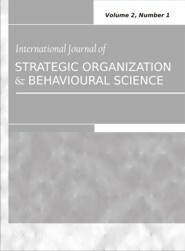 Organizational development is known as both a field of applied behavioral science focused on understanding and managing organizational change and as a field of scientific study and inquiry. . . .
A biannual peer-reviewed International Journal of Economic and Political Integration (IJEPI) is the forum where there is an exchange of ideas across the social science disciplines - political scientists debate with economists, sociologists read what political scientists have to say, historians study what economists have to say . . . 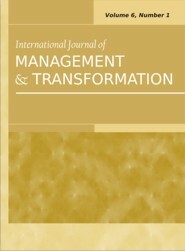 The driving force behind the cluster effort for a biannual peer-reviewed International Journal of Management and Transformation (IJMT) is in search of better perceptive of management-transformation-development policy linkages. 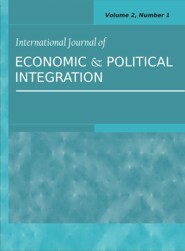 The journal is designed within a distinctive, interdisciplinary focus on the interrelationships between policies, planning and process of development of different aspects of management thoughts in the context of global . . .
A peer reviewed, biannual International Journal of Human Development and Sustainability (IJHDS) focuses on basic, applied and methodological issues in the broad realm of human development and sustainability. The journal delves into real and potential choices and rights in relation to gender research, policies, planning and process of development. It covers reports of original research, theoretical framework and timely reviews.